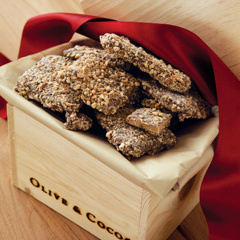 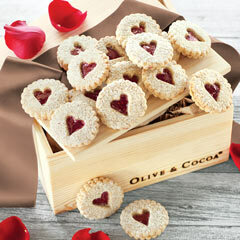 A bounty of sweet treats will show them they are loved! 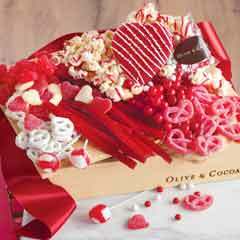 Includes red licorice, white chocolate pretzels, cinnamon bears, sour cherry balls, red and white chocolate drops, gummy hearts, cherry drizzled white chocolate popcorn, a heart shaped crispy treat, three old-fashioned lollipops, and red gummy pretzels. 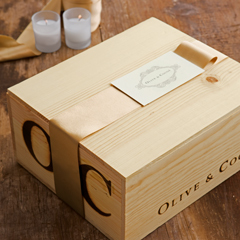 All arrive gift wrapped in a hand crafted wood crate with ribbon.